The Kennedys’ photos will adorn the Rose Fitzgerald Kennedy Greenway in downtown Boston throughout the winter. Ask not whom those photos depict — virtually all New Englanders of a certain age will know immediately. 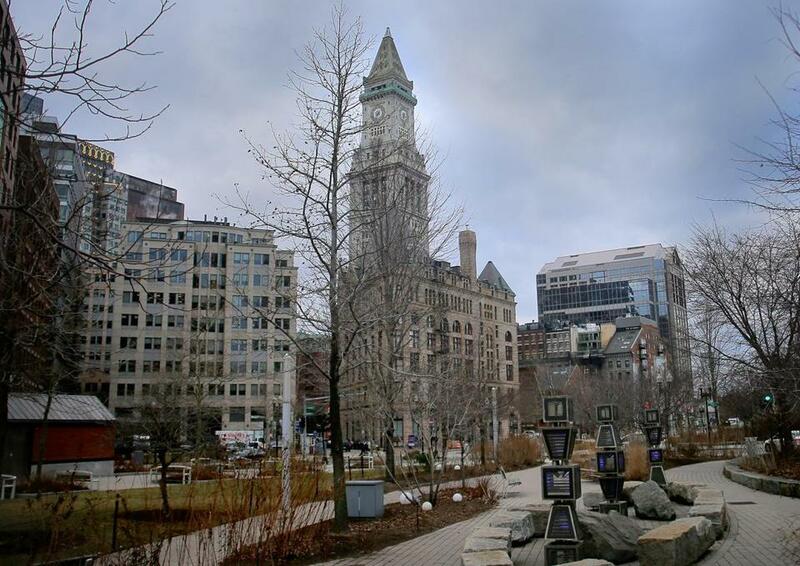 Large photographs of Rose Fitzgerald Kennedy and two of her famous sons, former president John F. Kennedy and the late Senator Edward M. Kennedy, will adorn the Rose Fitzgerald Kennedy Greenway in downtown Boston throughout the winter. The eye-catching installation of the full-size banners is a joint effort of the Greenway Conservancy, the John F. Kennedy Library Foundation, and the Edward M. Kennedy Institute for the United States Senate, the organizations said Thursday in a statement. The release said the photos include images of the Kennedy brothers during their respective tenures in office, as well as a picture of Rose Kennedy, the matriarch of the towering political dynasty who died in 1995 at the age of 104, sitting outdoors. His words were echoed by Mary K. Grant, president of the US Senate institute. Jesse Brackenbury, executive director of the Greenway Conservancy, also voiced excitement in the statement put out by the groups. “So many visitors to Boston are interested in the incredible legacy of the Kennedys, and we’re delighted to partner with the library and institute to feature these iconic images in the heart of Boston,” Brackenbury said. The 17-acre Greenway, which lies on land that once was the Central Artery highway, officially opened in October 2008. Rose Kennedy who was born nearby, in the North End, was the daughter of Boston Mayor and congressman John “Honey Fitz” Fitzgerald.